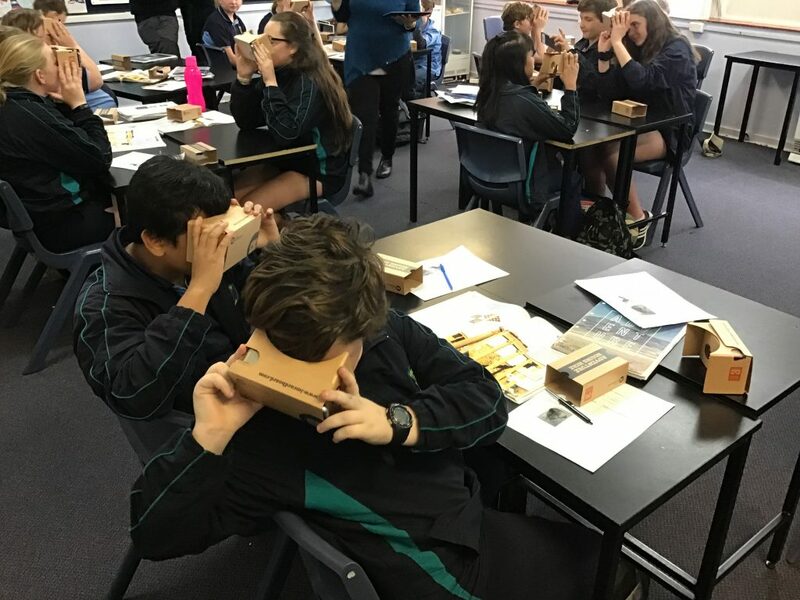 Merredin College has had a focus on digital technologies for the past 5 years and we have seen a huge increase in teacher confidence and the embedding of good practices over this time such that in 2018, our skills across a range of areas in digital technologies led to us becoming a teacher development school in this area. Our goal was always to move students beyond being consumers of digital technologies to being creators and collaborators with a social conscience. We have worked hard to develop teacher knowledge and practice through regular professional learning – we hold 2 Techie Brekkies a term where staff get to have a play with technology with their colleagues before introducing it to their classes and then we have regular follow ups through our phase of development meetings. Staff have been introduced to Squishy Circuits, Adobe Spark, Doink Green Screen, BookMaker, ChatterPix, Makey Makey, BeeBots, Micro:bits, Dash and Dot, Scratch and last week we had our first play with Lego WeDo – all through our Techie Brekkies. We also model good practice through our leadership team – when we were looking for a good tool for collaboration and decided on Google for EDU, we started using it to connect the members of various teams in the school so staff became competent with its use before we rolled it out to students. We work on collaborative documents for all of our school planning, have shared spreadsheets for recording our merit certificates and all of our agendas and minutes are recorded in the digital space – leaving us largely paper free – which fits in with our sustainable focus. We have developed a scope and sequence for learning in Digital Technologies and for introducing the ICT general capabilities and our teachers are committed to ensuring our students are ready to face whatever the future may hold. When we started our Innovation Partnership journey, our big picture goal was to increase student engagement in learning, raise career aspirations and enable our students to make meaningful connections beyond their rural town. We wanted to do this through digital technologies but our project had to reflect our school PBS values of Care, Responsibility, Respect and Success. Virtual Reality seemed like a good fit. The more we investigated the possibilities of virtual tours to enrich learning and move students beyond the 4 walls of the classroom the more excited we became. 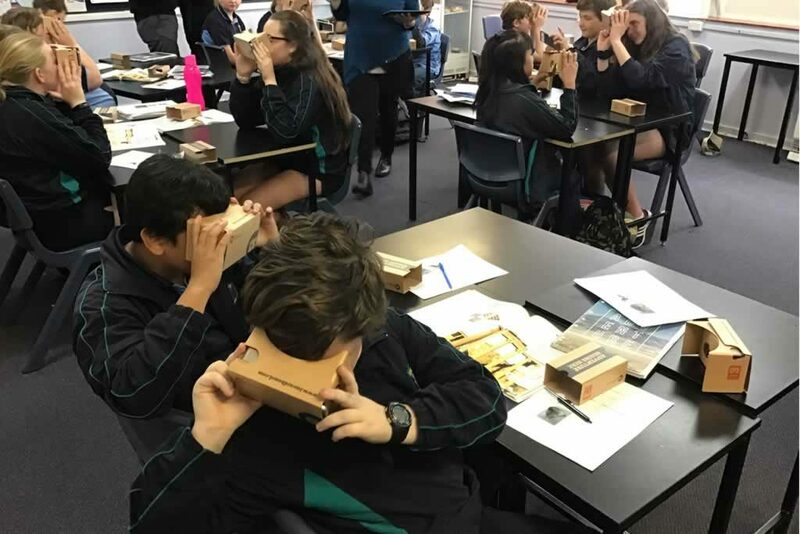 Google Virtual Expeditions is a wonderful tool that connects students to the wider world beyond school, expanding the range of learning opportunities and environments they can encounter. Teachers use a device to control what the students experience when they put on their virtual reality goggles and are immersed in a new environment. Teachers lead the students through the space by setting targets in the virtual landscape for students to navigate to and then explore. The range of different environments students can experience is huge – galleries and museums, historic sites, natural and manmade landscapes, university sites and workplaces. 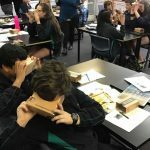 The virtual tours fit in beautifully with the HASS and Science curriculum and teachers can use them creatively to inspire writing and art and discover new career possibilities. We frequently pause during expeditions to talk about where students are in the virtual world, what they can see and what this makes them wonder. When we pause to reflect on their virtual experience there is a connection between everyone in the class. Everything else has been blocked out for a few minutes and everyone is in tune and then everyone wants to share with their partner, with their group and with the class – there is a real sense of energy and engagement and connection. Always we must come back to student learning though, we need to ensure that these experiences are enhancing student learning – it can’t just be a gimmick to hook students in. When we have questioned students about the topic of their expedition, weeks after the event, the level of detail students remember has given us clear information that not only is VR a great tool for engagement but it improves students learning. Students were also able to make connections between the virtual world they explored and their real life experiences. Our students can see that there is a much wider and broader world out there than they ever imagined and to be able to support them as they make these amazing discoveries is really powerful as an educator. There has been a sense of novelty for students when they have experienced a virtual tour, but the resounding message we get from our students after their experience is that it was a great way to learn, it was fun to see new places and things and they were inspired to visit these places in the real world. It also inspired them to question and sparked their curiosity to know and see more! 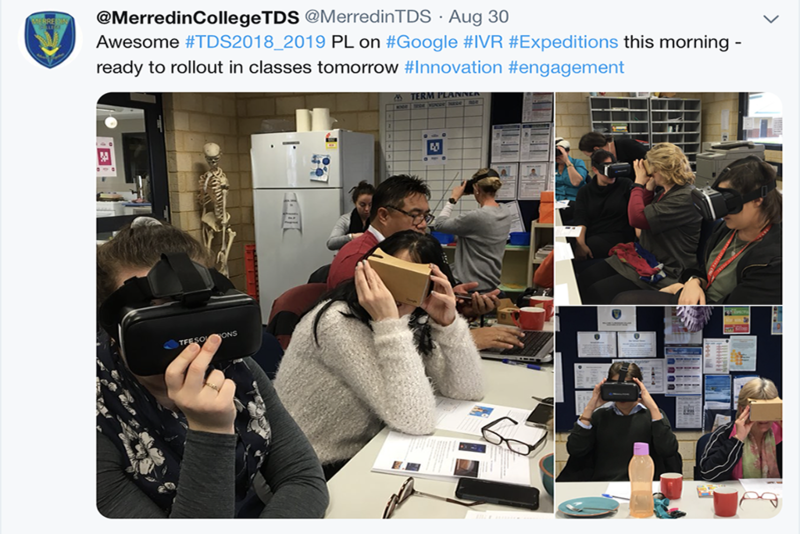 Merredin College has just entered the second year of the Innovation Partnership Program and the focus for 2019 is scaling and diffusing our project. Lynne Herbert, Amelia Baltovich, Deirdre Fardell and Alby Huts spent 2 days in Perth with all of the other Innovation Schools firstly planning how to support other schools to join our Virtual Reality (VR) Journey and then spending the day working with the 5 schools that have chosen to work with us and introduce VR in their own school. 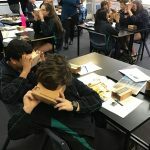 This year we will be coaching the new schools through the process of introducing VR into their schools, mentoring a team of teacher leaders from the 5 new schools and supporting them to work with their staff to bring this great innovative process to the students they work with to engage, enthuse and create a sense of wonder.